Scientists have shed light on how tiny organisms flock together even when they are present in very low numbers. The findings could provide fresh insights into how some infectious diseases are spread. It was previously known that certain swimming bacteria – including E. coli and Salmonella – form flocks at high concentrations. 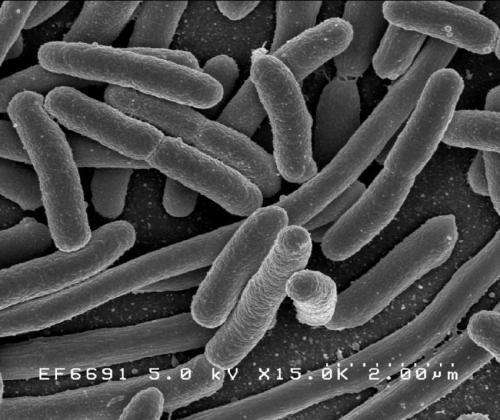 In the new study, researchers found that it is only at extremely low concentrations that bacteria do not 'feel' each other's presence. Flocking behaviour occurs among many living things, from bacteria to people. However, the process in microorganisms is poorly understood, and it remains unclear why they engage in such behaviour, researchers say. Such gatherings arise spontaneously in groups without a clear leader as a result of physical interactions between individuals, previous research suggests. Scientists at Edinburgh found that flocking behaviour in microorganisms is more complex than was previously thought. The team created a computer model and analytic theory to study how single microorganisms affect each other through backwashes that each animal creates as it swims. These flows enable bacteria to sense each other's presence and interact at very low concentrations. The study, published in the journal Physical Review Letters, was supported by the Engineering and Physical Sciences Research Council, the Swedish Research Council and Intel. It was carried out in cooperation with scientists in France and Sweden. "Up to now it was thought that the movements of swimming microorganisms at low concentrations are random and featureless. Surprisingly, our latest results show measurable signs that the microorganisms can interact even at very low densities, in a way which significantly affects the physical properties of the environment," says Dr Alexander Morozov.